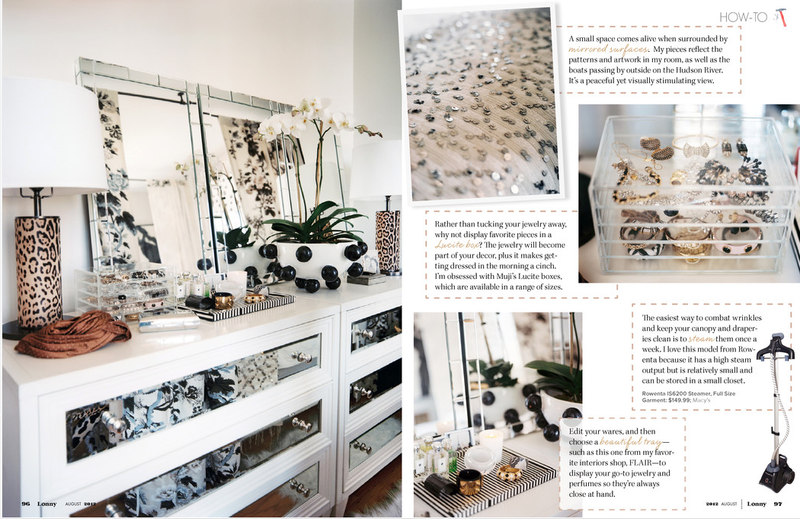 I find like attracts like, so if you read my blog or most interior design and/or fashion magazines, then you most likely read Lonny Magazine and have probably already poured over this drool worthy space. I highly admire both Michelle Adam’s style and drive! Now there’s an example of a girl who seems to have it all together! This month’s issue of Lonny was great, I always look forward to their latest issue and try to read it the day it arrives onto my lap top! 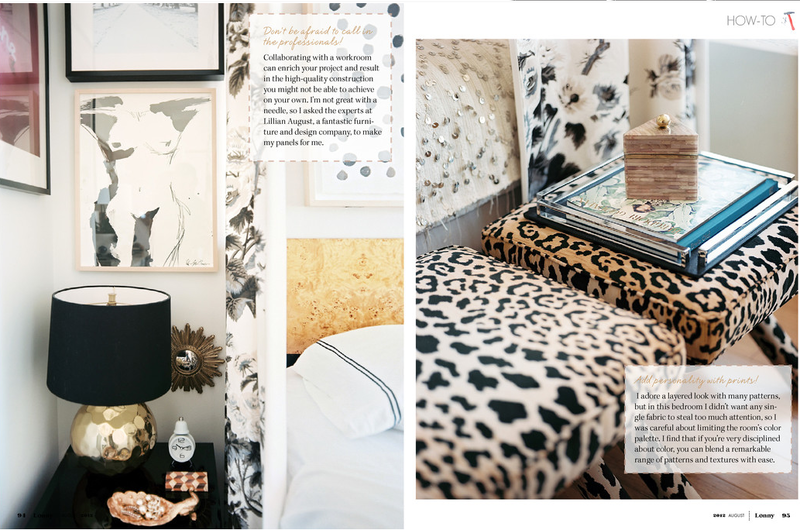 I loved Michelle’s bedroom and the canopy bed that she carefully created and featured. Something I too would love to do but I’m not sure when I’d have time to do it. I’m also not sure that my five year old son wouldn’t try to swing from the hanging drapes. Is it me or do young boys have more energy then they can ever possibly expend? 🙂 I also adore the sharp and stylish black. grey and white combo used. She beautifully mixed an array of textures and patterns. Thanks for sharing another perfect design with us Michelle! I couldn't agree more. This was one of my all-time favorite features!